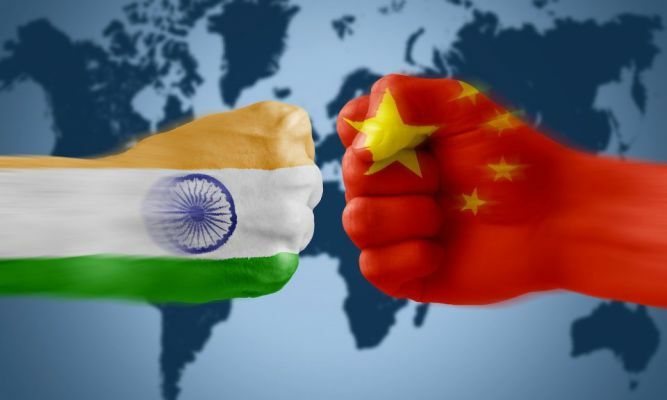 Colombo, March 13: Sino-Indian relations have been none too good for more than half a century now, and the main reasons for that are well known. But what is not so well known is the role of the media in India and China in sustaining and exacerbating bilateral tension, writes P.K.Balachandran in South Asian Monitor. Sometimes, the sensation-loving media (on both sides of the Himalayas) have faked news. But more commonly they quote out of context, misinterpret statements and draw unwarranted inferences to feed latent nationalist sentiments and emerge as top dogs in the highly competitive media arena. 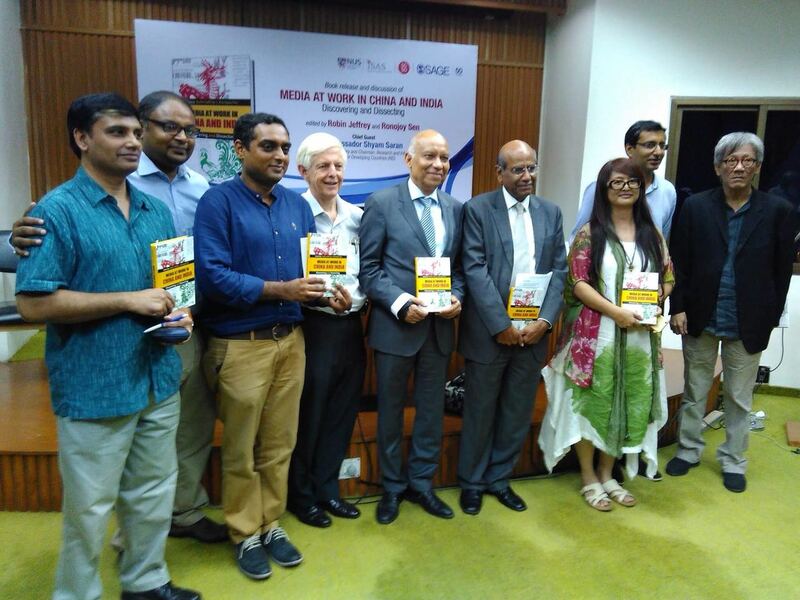 Two experienced foreign correspondents — one an Indian, who has been working in Beijing since 2009, and the other, a Chinese, who had studied and worked in India between 1996 and 2016 have brought out this facet of the bilateral relationship in their contributions to the book:Media at Work in China and India, Edited by Robin Jeffrey and Ronojoy Sen, SAGE India, 2015. Ananth Krishnan, formerly ofThe Hinduand now ofIndiaToday,and Tang Lu of theXinhuanews agency,bring out the Sino-Indian media’s role in the maintenance of tension, and explain the reasons for it. Ananth Krishnan gives the example of a briefing paper put out in 2009 by the Chennai-based Center for China Studies on “Chinese Strategic plan to break up the Indian Union.” Coming just before Sino-Indian border talks, the briefing paper, based on information from an obscure Chinese online forum, said that the abovementioned thesis reflected the official Chinese view because the forum was linked to an official think tank. Predictably, the Indian media went to town on the threat, forcing the government to come out with a statement saying that what was alleged was not the official Chinese view. But by then, damage to Sino-Indian relations had been done and the border talks put in jeopardy. 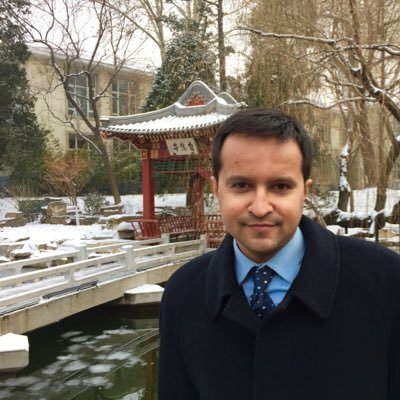 Ignorance of the Chinese language is a major problem with Indian journalists and experts writing on China. Ananth Krishnan points out that China’s netizens number in millions and are very active and diverse in their agendas and opinions, as Indian netizens. This is the reason why seasoned China watchers in the US and Japan disregard most of these as they do not reflect the official line, he says. But in India, there is a widely held belief that all that is published in China, whether on web or on paper, represents the collective Chinese view. “Chinese politics may still be opaque but the information landscape in China has changed dramatically. Apart from the official media, there are a host of publications which do not reflect the official position,” the Beijing-based Indian journalist explains. Quoting news sources out of context and adding material have also caused much damage, Ananth Krishnan adds. Not surprisingly, the report caused a “storm” in India. Ananth Krishnan says this is tantamount to “news making” that has become standard practice in the Indian media. “The absence of rigorous fact checking in Indian newspapers allow such misinterpretations to remain unchecked,” he points out. “There is no distinction between fact and fiction making it impossible to have any meaningful and informed public debate on China. Sensationalism is undermining credibility,” he asserts. Specifically, about reporting on China, he avers that “the biggest obstacle towards improving the level of debate and addressing misperceptions is the lack of on the ground perceptive,” regretting that Indian experts and correspondents do not know Mandarin. 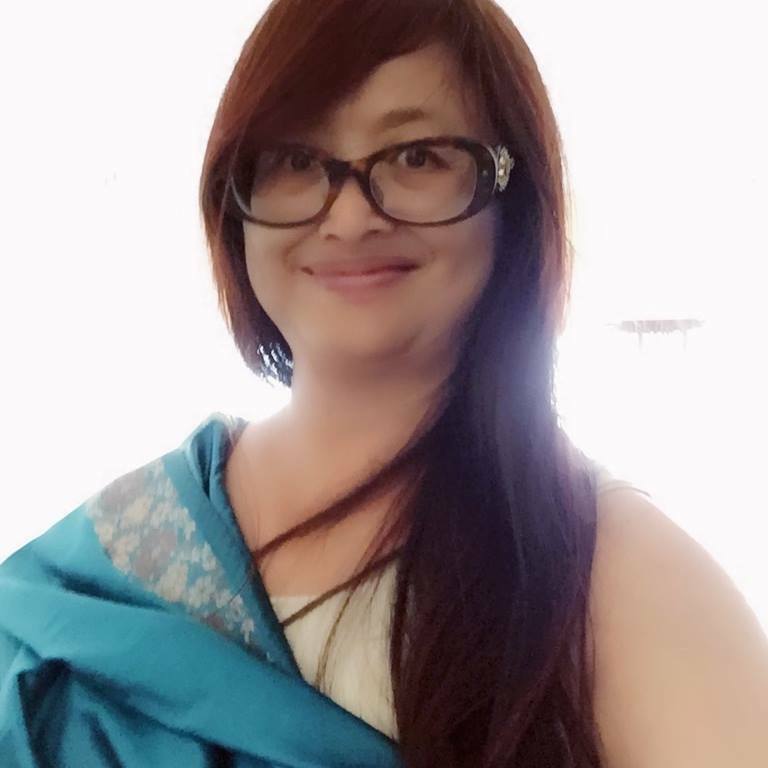 The Chinese correspondent, Tang Lu, had gone to India first in 1996 to study at the Jawaharlal University in New Delhi and the Sardar Patel University in Anand, Gujarat. She came back to be Xinhua’s Bureau Chief in Mumbai and was in the country till 2016. In her paperUnderstanding and Reporting India, Tang Lu points out that, if the Indian media misreads China, the Chinese media also misreads India. Both take the other’s media more seriously than they should be, because both are terribly deficient in ground level factual reporting, she says. Both go almost entirely by secondary media sources with the Chinese media often swallowing Western reports hook, line and sinker. But Tang Lu says that she got out of the rut because she was, by training, a researcher with experience as a development official (Vice Governor) in the poor and rural Baishui county in Shaanxi province. In India, as a student at Anand, she traversed the Gujarat countryside, even taking part in 26-day re-enacting of Gandhiji’s Dandi Salt March 75 years earlier. She wanted to savor not just “India” (the metros) but “Bharat” (the villages and small towns). Although Chinese media outlets kept publishing stories based on Indian and Western media reports, Tang Lu was able to push in her realistic pieces based on ground realities and perspectives acquired by long years of stay in India. She points that the Chinese and the Chinese media are obsessed with the notion (created by the Indian media really) that India is aiming to be a “world power” and view all its successes and failures from the point of view of this goal. Therefore, when terrorists staged a devastating attack on metropolitan Mumbai on November 26, 2008, the Chinese media, following the Western media, went to town saying India’s dream of becoming a world lay shattered. But Tang Lu disagreed saying that just as one or two achievements could not make a country a world power, one or two terrorist attacks could not stem progress towards that goal. She wrote a piece entitled: “The Terrorist Attack in Mumbai Can’t Destroy India’s Dream of World Power” which was carried. Likewise, when the power grid in North India collapsed in July 2012, the Chinese media claimed that over 670 million Indians were stumbling in the dark and that India’s pretentions about being a world power lay shattered. But in her dispatch Tang Lu pointed out that millions in North India were not affected as they did not have electricity in the first place, and that in the towns, many middle-class Indians had generators to overcome the crisis. Ahead of the 2004 Indian parliamentary elections, the Bharatiya Janata Party (BJP) government led by A.B.Vajpayee had launched the “India Shining” propaganda offensive as per the advice of a US public relations company. Indian and Western media followed suit and declared that India had at last come out of the colonial hangover and was forging ahead brilliantly. The Chinese media which relied on these reports, also looked at the situation in the same way. But as a perceptive observer of the Indian scene Tang Lu wrote that the “publicity campaign of the Vajpayee government not only ignores the long-standing problems of domestic poverty which brought some criticism but also evoked a lot of doubts from Indian economists.” Her lone view proved to be correct as the BJP lost the 2004 elections. Comparison of the militaries of India and China is another favorite story in the media of the two countries. In February 2009, there was a popular Chinese media story about the Chinese navy forcing an Indian submarine to surface in the Gulf of Aden. To match it, theThe HinduandTOIsaid that an Indian submarine had followed the fleet of a “certain nation” for a week and simulated 39 attacks on it. The Hong Kong-basedSouth China Morning Postalso published that story drawing world attention to it. But a bit of research revealed that the original story put out byQindao Morning Newsof China was “fake” and that the media across the Sino-Indian border and the world, had been taken for a ride. Just as the Indian media is hostile to China, the Chinese media is also hostile to India. Both had a penchant for picking up published material which reeked of belligerence. In 2009, when Prime Minister Manmohan Singh told parliament that India was beefing up its military on the border with China, it became hot news both in India and China. But when Tang Lu read Singh’s statement she found that it was by no means belligerent. While the Chinese media condemned Singh’s “hardline” Tang Lu wrote a positive piece in Xinhua’s weekly publicationInternational Herald Readerwhich was well received. Both Indians and Chinese have the wrong notion that their media are monolithic with no diversity. The Chinese do not know that for every 100 Indians there are 101 views and Indians do not know that the Chinese media is very diverse, Tang Lu points out. “In fact, Chinese media can publish their own exclusive opinions although all media are under government regulations. The views do not represent the government’s stance. It is more or less the same as the complicated Indian media. Chinese media do not speak with one voice. ThePeoples’ Daily,QiushiMagazine,Sunday Times,XinhuaNews Agency,SouthernWeekend,Global Times, all of them represent different voices,” Tang Lu says. And like Ananth Krishnan, Tang Lu says that lack of knowledge of Chinese is adversely affecting the quality of Indian news reports from China.